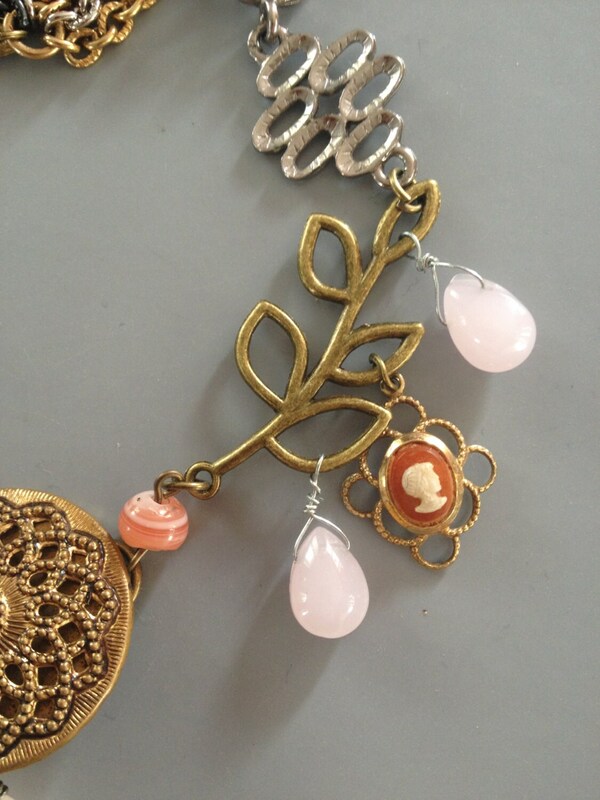 Necklace, Scapular religious Vintage Assemblage, Rose Quartz Murano Glass Cameo Brass leaves, upcycled, repurposed Belt Buckle OOAK handmade. 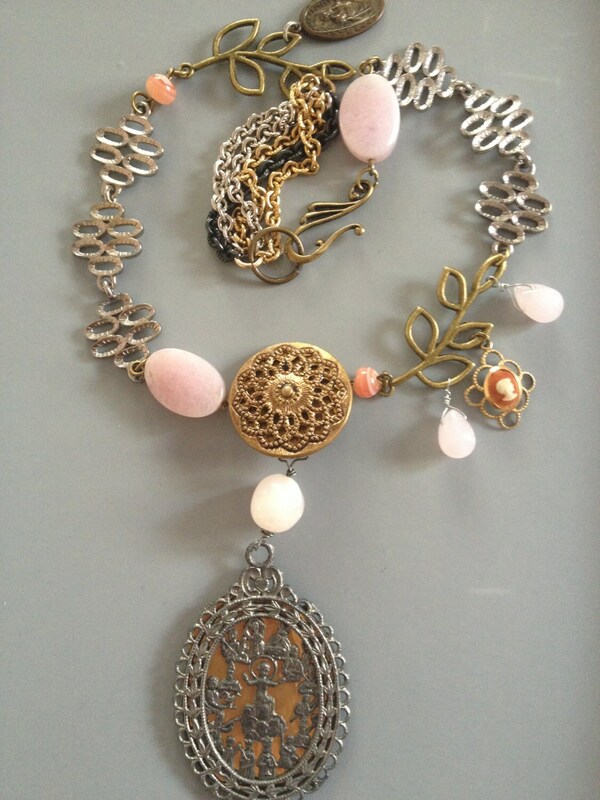 This necklace will make a statement anywhere you wear it. So, it all started with this wonderful, very detailed tinned Scapular I had found last year in Stuttgart Antique Market. 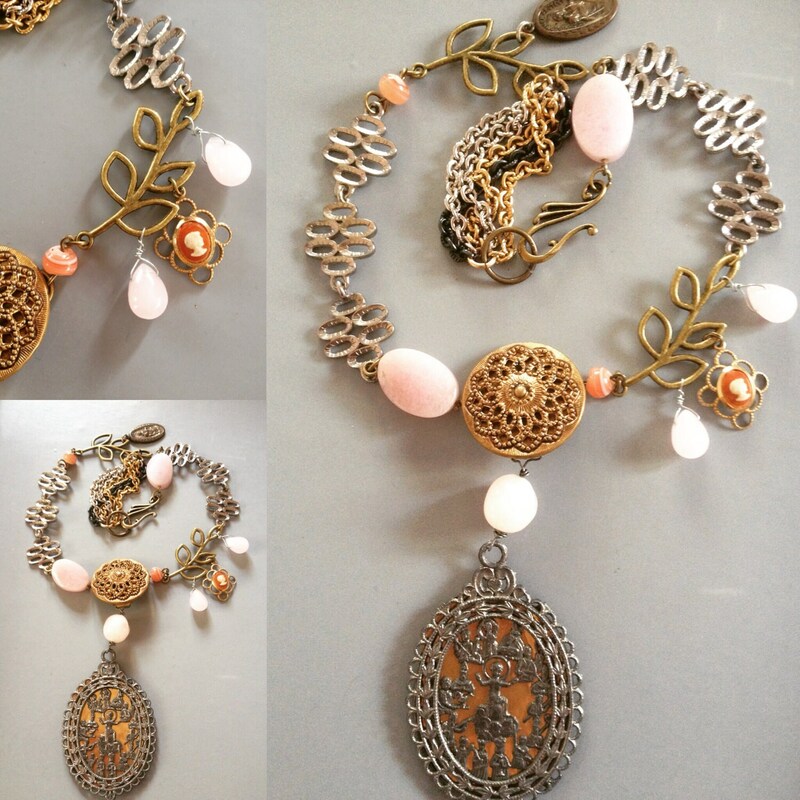 I've used Rose Quartz beads as the connectors in this necklace. I hand wrapped all the components together. 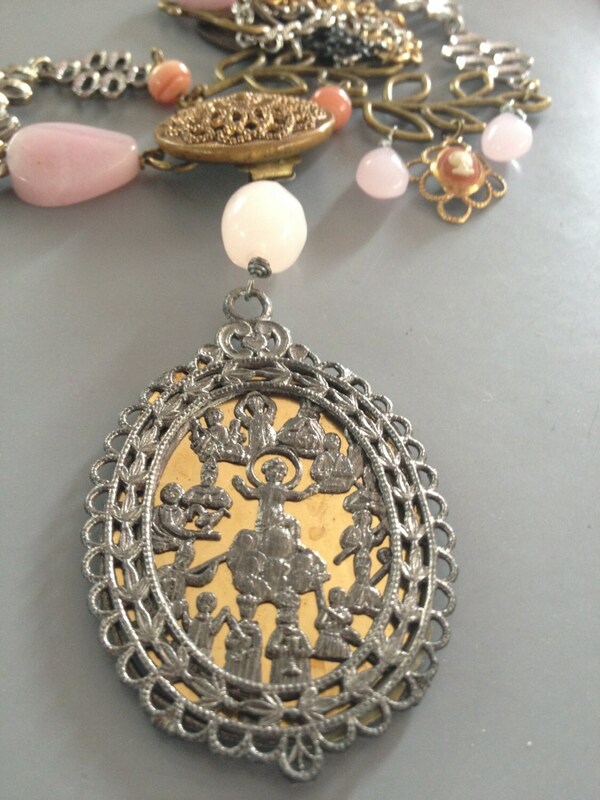 The other pieces you can see are very old Art Deco Belt Buckle, fancy silver metal links from old English chain necklace, Cameo dangle and so much more. 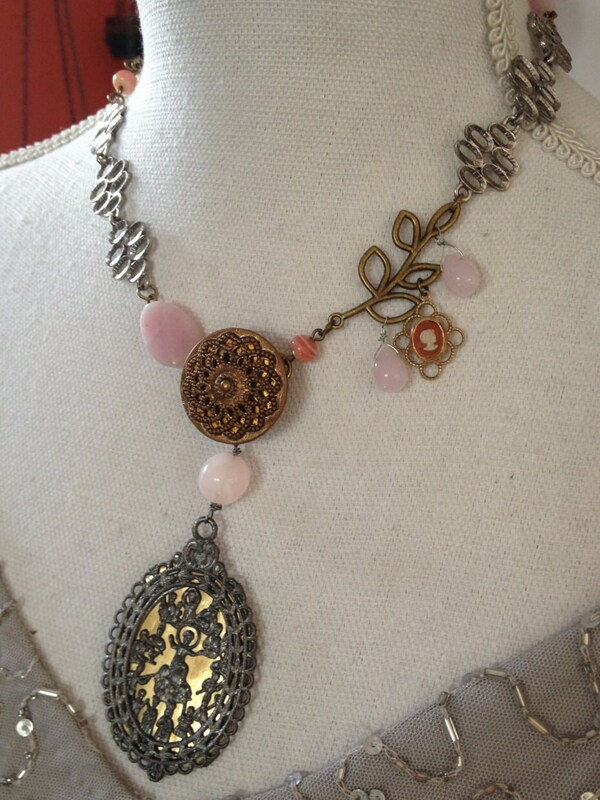 Absolutely one of a kind necklace.